Un looks into his community’s new collaboration centre imagining what it will look like when it has received some TLC. Located right next to the beach the building has a large room for classes, rooms for volunteers and great indoor and outdoor space for hanging out, sharing stories, creativity and fun. 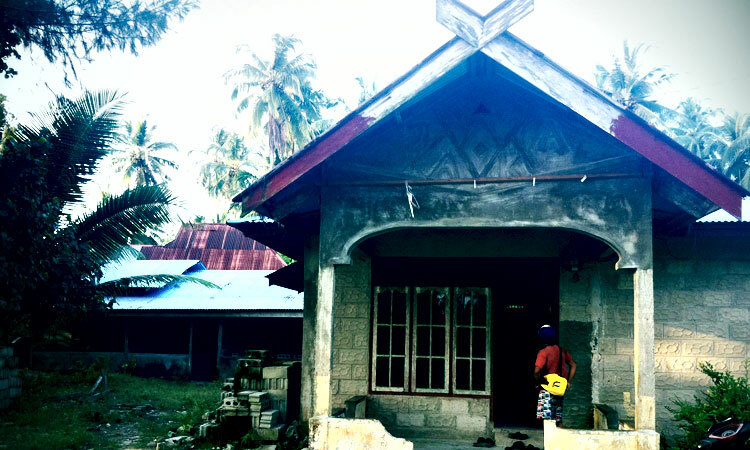 With a some plaster and paint, the local boys are going to run amok and infuse their Mentawai creativity and design into. It’s going to be a blast and we can’t wait to get started. December 1st is kick off day. Whooo! We’ll keep ya posted with updates or check our Facebook page.